The Great River Co-op had a fantastic year in 2017! We want to thank all of the area supporters, businesses who donated items for our events, and our newest member/owners! To date, we have welcomed 754 member/owners, and continue to add to that each month. Our goal is to bring on 1,000 members and we’re getting close! A good deal of progress was made behind the scenes as well. We brought on two new board members and welcomed (with open arms) a volunteer coordinator to help us make better use of those who are willing to come out and help at events. Students from the Keene State Architectural program created models of the store as a project for credit, and at the end of the year, we secured two Antioch University students to help us with our member outreach campaign for 2018. We held a number of community events, including an Orchard Hill Pizza Night, a music night at Mole Hill, our 2nd Annual Harvest Dinner at the Walpole Inn, and the Harvest Farmer’s Market on the Walpole Common right before Thanksgiving. All events were a lot of fun, and allowed us to connect with our community! 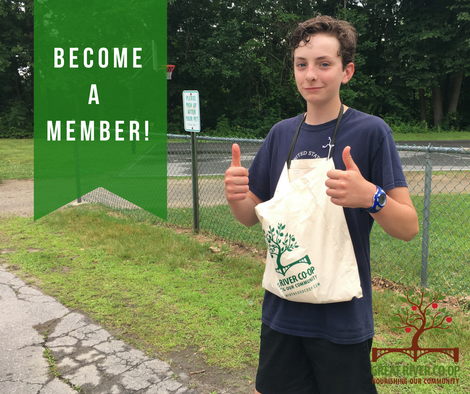 Great River Co-op T-shirts and tote bags are now available through a partnership with Beeze Tees in Keene. Supporters can now buy these online, and a portion of the proceeds will go toward opening the store. Last but not least, we have marked our new location with a large “future home of the Great River Co-op” sign. This is very exciting, and it shows the community that this store will be opening in the near future. A cooperative grocery store is owned by its members. It cannot happen without you! 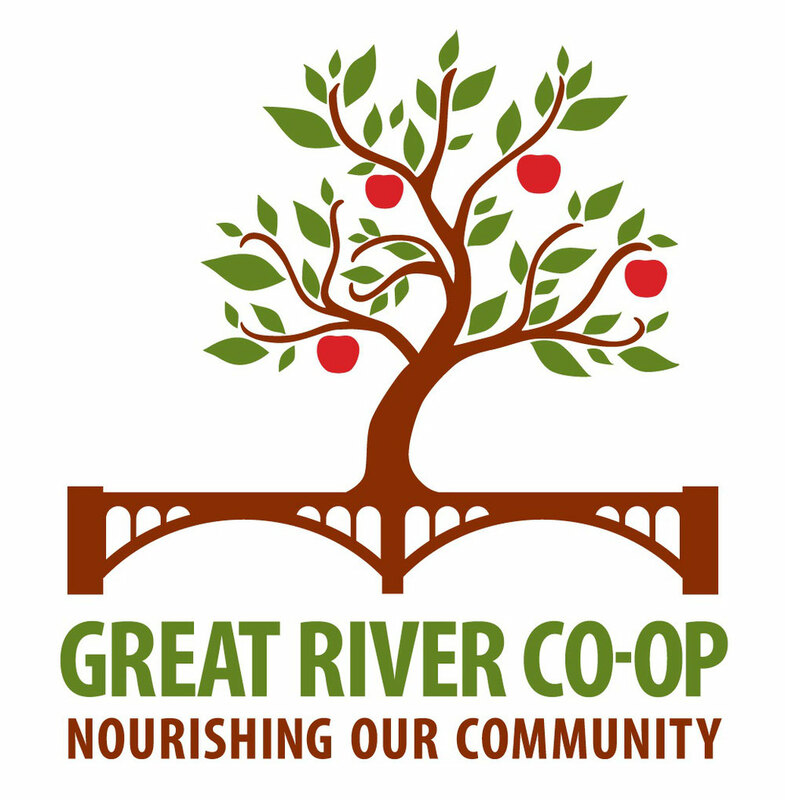 If you would like to learn more about joining and how you can help this store to open, please visit our website at www.greatriverfoodcoop.com and follow us on Facebook. Together, we can build it!